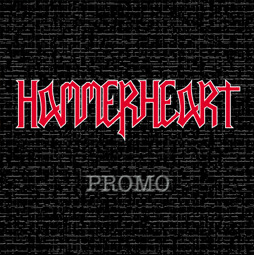 Hammerheart is perhaps the most expressive Slovakian heavy metal band of these days, which is proud to present itself to NWOBHM from the very beginning. The band was set up in August 1994 by, at that time, scholarly and to the common society non-conforming rockers Denis Beláčik and Mark Estočin, who were able to put the first complete line-up together only as soon as in May 1995. Jan Šintaj took the bass guitar and the drums were taken care of by Martin Bartánus. In this line-up the band existed until February 1996. Then came Shisho - Denis' years long friend - and took the place of the bass-player. Several performances followed and yet in August of the same year the band started working on their studio demo recording named "When Dark Dreams..." which was released a year later. After Martin Bartánus left in August 1998, Mario Zvara /ex-Walkyrie/ took his post. 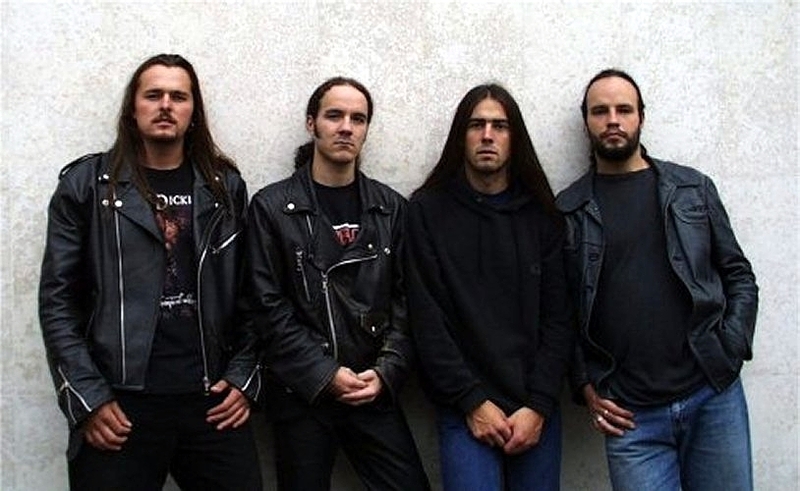 The band was given its first very important music offer by the Metal Age Productions - participation on compilation "The Grimoire of Exalted Deeds", which resulted into the band going into the studio in March 1999 again. The band recorded their promo material, which has been later used as an application to the prestigious competition "Rock Made in Gambrinus". This is where Hammerheart finished in the final 2nd place within the competition of more than 700 bands from former Czechoslovakia and through this success reserved itself an invitation to the festival "Noc plná hvězd" in Třinec, Czech Republic. The band achieved remarkable success there. Audience really liked the performance and the media were impressed as well. In October 1999 the above mentioned compilation was released. 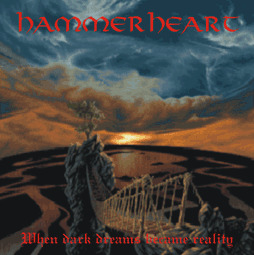 Hammerheart shared the glory with about 20 bands from around world. In the year 2000 the band was given numerous interesting concert opportunities and concentrated its efforts on the Czech Republic mainly where it won over quite a powerful number of fans. In June the members of the band got perhaps the greatest satisfaction in their existence when they performed as a support for the music notability Alice Cooper during his tour concert in Ostrava, Czech Republic. Finally, they stood up on the main stage at the festival Noc plná hvězd 2000. After performing with german Sodom and after cancelling the concert with Gamma Ray in Zlin (Czech Republic) they finished the year at Hammerock 2000 in the home environment this time warming up the instruments of the legend called Saxon. During the next year the band continues with live performances until the beginning of July when Denis is leaving to Ireland. After his return soon in October 2001 Mark and Mario definitely left the band due to many differences in the band’s future meaning. After very short searching new members are found. Ian Glorian an excelent axeman & Adrian Ciel not worse on the drums (both also heavy-speed band Glorion). This line-up is to last for 2 years only as in the beginning of the year 2004 Mario comes back to the band. At the moment the band is just searching for a record company that would release & promote their already finished long awaited debut album.